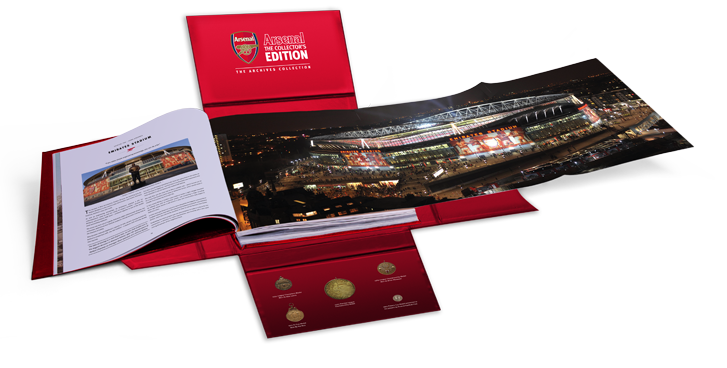 The Arsenal Football Club Archives Collection captures the rich history of the Arsenal FC on and off the field. This history is now yours to take home. The collection features world class photography, star player profiles, rare artworks and lift out memorabilia including full size player replica medals, John Radford’s 1962 playing contract, and all 12 FA Cup premiership cards.